A dental implant is a small titanium posts that gets placed in your jawbone to act as an artificial tooth root. Because titanium is biocompatible, it fuses to your bone to create a long-lasting, sturdy, and stable mount for your false tooth. They can be used to replace one tooth or many and they are the longest-lasting and most natural looking replacement option available. Dental implants are also the only tooth replacement that preserves the health of your jaw. Your natural tooth roots provide the stimulation your jawbone needs to stay healthy and strong. When you lose teeth, your jawbone isn’t receiving the same stimulation it did, which can cause it to shrink and deteriorate. Thankfully, dental implants preserve your bone’s health by providing the necessary stimulation it needs! The time that it takes to receive dental implants for each patient can vary based on their smile and health. After completing the necessary pre-treatment diagnostics, your dentist will provide you with a treatment plan that includes an estimated time of the process. 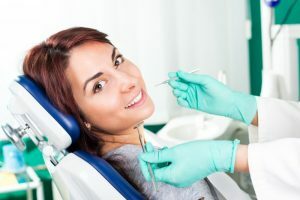 Depending on the health of your jaw and your medical and dental history, it can take as little as a few months, or more than a year for more complex smiles. If you still have a healthy jawbone, chances are that dental implants are a great tooth replacement for you. Even if you have a weaker jawbone, your dentist can perform a bone graft to strengthen your jaw where you need the dental implants. The only way to know for sure is to talk to your implant dentist in Longmont. They’ll be able to examine your smile and your jawbone to make sure you’re a candidate, and then they’ll can give you a more specific time estimate. Does it sound like dental implants are right for you? Now that you know more about them and how long it can take for them to be placed, talk to your dentist to get started on a more beautiful, healthy, and complete smile. Dr. Dan J. Maurer and Dr. James A. Maurer are a team of dentists who take great pride in providing quality care to their patients. They like offering dental implants to their patients because of their longevity and natural properties. They currently practice at Longmont Complete Dentistry, and they can be contacted through their website or by phone at (303) 772-7000 for any questions.